Theatre Memphis gets nosey with Cyrano. Yes, there were shattered mirrors scattered all about the stage, and it was Friday the 13th, but last week's opening-night performance of Cyrano was anything but unlucky for Theatre Memphis. At 6:30 p.m., "Dramatis Personae," the theater's sculpture garden, which was installed by artist Lon Anthony in 1979, was designated by UrbanArt as Memphis' first public art "Heritage Site." An hour and a half later, Cyrano made his entrance before a near-capacity crowd. Three hours after that, hundreds of patrons leapt to their feet, clapping their hands in appreciation for one of the most extravagantly conceived shows to ever appear on a Memphis stage and for Jerre Dye, the multitalented artistic director of Voices of the South, whose feisty but sensitive performance as the fierce, famously large-nosed French cadet will certainly earn the actor an Ostrander nomination and a prominent place in Memphis theater lore. Bob Hetherington, Cyrano's director and the chair of the University of Memphis' Department of Theatre & Dance, should be known as the great collaborator and as the person who dramatically enhanced the U of M's impact on the performing-arts community in Memphis. Prior to Hetherington's arrival, the U of M's theater department didn't even collaborate with the school's own music department, and students could be reprimanded for taking part in off-campus productions. Hetherington reversed that tradition, arranging for lushly developed collaborations. The U of M even teamed with an old rival, the equally impressive creative team at Rhodes College, to create a stunning production of The Metamorphosis performed in an indoor pool built especially for the occasion. But nothing Hetherington has done to date compares to the richly imagined take on Edmond Rostand's tragically comic 19th-century romance. Scenic designer Christopher McCollum has woven giant mirrors and looming moonscapes into a set that is evocative of memory and decay — like an attic filled with dusty boxes and howling ghosts. The gloomy atmospherics are sliced to bits by Dye's vivacious tour-de-force performance and by André Bruce Ward's colorful and meticulously detailed 15th-century costumes, which rank among the celebrated 70-year-old costumer's finest achievements. 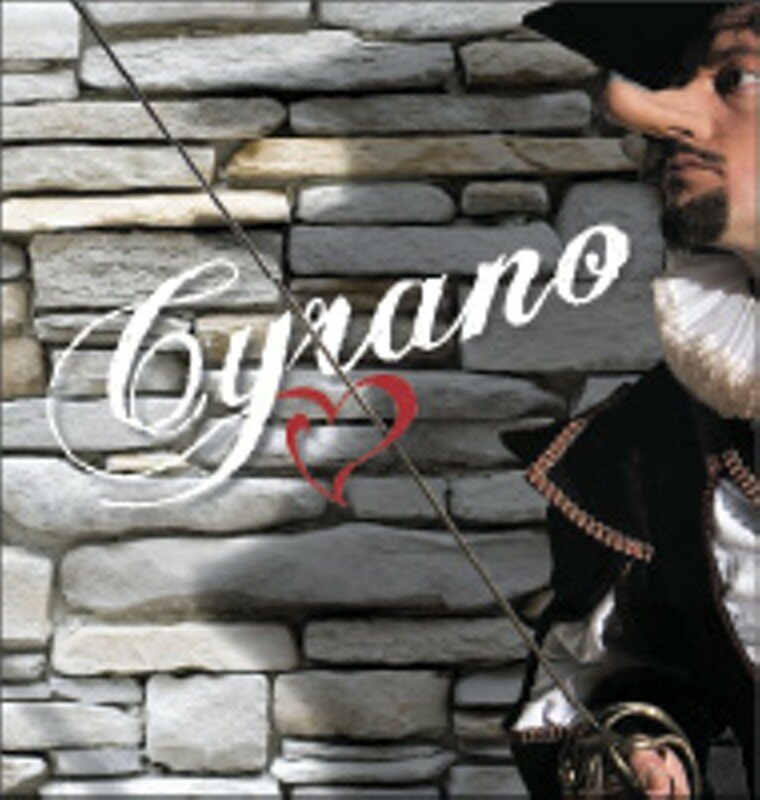 Although Cyrano de Bergerac is a historical figure, the plot of Rostand's play is pure fiction. In spite of his reputation as a soldier and a duelist, Cyrano wasn't a Gascony cadet nor did he live a pining life of vicarious love, penning amorous letters to the fair Roxane for his handsome but less articulate rival. In fact, he was rather proud of his large nose, which wasn't nearly as ridiculous or grotesque as Rostand would have us believe. In reality, Savinien de Cyrano, a satirical author and contemporary of Molière, was far more interesting. He was a free thinker who used the medium of science fiction to consider and criticize the social order in ways that wouldn't be improved upon for 400 years, when writers like Jules Verne and H.G. Wells picked up the threads Cyrano dropped when he died at the ripe old age of 36. Theatre Memphis fell on hard times in the 1990s. The aging building was beginning to leak, and artistic achievements, while not unheard of, were few and far between. Today, as the economy grows increasingly uncertain, it's clear that TM, under the guidance of executive producer Debbie Litch, has healed many wounds and repositioned itself as a vital cultural amenity that can be adventurous even when producing well-worn material. But Cyrano isn't perfect. The supporting cast, in spite of standout performances by Barry Fuller, James Dale Green, Bill Andrews, Claire Hayner, and Chris McCollum, is often lackluster. And the generously proportioned stage can quickly become overcrowded with chorus players who mill about aimlessly, reducing the show's visual impact and wrecking its pace. 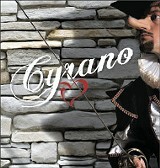 Rostand's script, wittily presented in intentionally imperfect couplets, lends itself to musical accompaniment, but Hetherington takes things a little too far (or not quite far enough) by incorporating a few songs from a new musical adaptation of Cyrano by Rick Fox, composer for Canada's Stratford Festival. During a speech to TM patrons, Litch unequivocally stated that there wasn't a better production on stage anywhere in the country. While her hyperbole is just that, one could search from Broadway to L.A. and be hard pressed to find a show that's more thoughtfully conceived or lushly realized.